While home loans supported by the federal government have been around for decades, helping families get into homes they otherwise could not qualify for, the U.S. Department of Agriculture’s own home loan program is fairly new. Federal law changes allowed the USDA to initiate a new type of home loan program specific to financing rural mortgages. In doing so, the federal department opened up home purchasing for millions of applicants who would not otherwise have the means to produce a sufficient down payment under traditional loan programs. 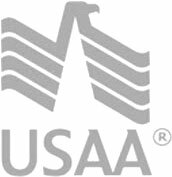 Today, the USDA loan programs are the only widespread loan program that still has a zero dollar down payment requirement for non-veteran applicants. That in itself makes the USDA loans attractive to millions of lower income families. The program focus continues to be pushing families back into rural areas to help bolster rural communities and agriculture.The terms of USDA loans are quite attractive. As mentioned earlier, there is no down payment required. The financing can cover 100 percent of the home price. Similar to conventional loans, the borrowing time period can be up to 30 years to stretch out and reduce monthly payment amounts. More importantly, those with not-so-stellar credit can get a home loan where otherwise they wouldn’t normally be able to qualify. It’s important however to understand the goal of USDA financing before applying. Known colloquially as farmer loans or technically as Section 502 loans, USDA mortgages are targeted on financing property outside of metropolitan locations. This is usually determined by the given zip code and county where the specific property is located. Additionally, a borrower’s income and the number of dependents cared for are also considered factors. But these issues don’t work in the program they most people assume if they know nothing about what the USDA program is for. Instead of screening for high income earners with stellar credit, the USDA loan program is intended to help lower income families who may be struggling to qualify for home ownership altogether. The above said, the USDA loan program was changed again in 2012 when it was turned into a self-funded program. That also ushered in the need for program changes as well to make sure the USDA financing approach didn’t create an unmanageable deficit. Now, the program includes a mortgage insurance cost that amounts to 2 percent of the loan amount up front and a 0.4 percent annual fee charged for each year the loan is outstanding and payable. However, the annual fee would be broken down and added to monthly payments versus being charged as a once-a-year cost. Borrowers can’t assume, however, that USDA loans have not costs at all. There are closing costs that need to be paid up front. The specific amount will depend on a number of factors including the size of the loan, location, and the financing institution. For those who can’t pull together the funding for closing costs, family and friend gifts are allowed. However, the funding has to be documented via a gift letter copy provided to the USDA. Sellers can also help finance closing costs to help the property sale along. Whichever the case, the closing costs just have to be taken care of up front. There are restrictions on what can be bought with a USDA loan. The program is not intended to help people buy second homes or vacation homes. Those are not allowed. The property bought has to be a primary residence. While the program does allow for easier minimum credit score requirements on applicants, applicant history still needs to be able to score above 640 points in most cases. Income verification also generally does better with a W-2 type employee than a person who earns self-employed income. Self-employed applicants can expect a greater challenge at being approved since income is harder to verify. Finally, the program is not available for refinancing just to pull equity out nor is it available for business property. The USDA loan program is very competitive with traditional mortgage programs, being able to tap into low, 30-year loan rates as well as government-supported financing. However, borrowers need to be very familiar with what the program requires, or they could be in for a surprise and disappointment. The USDA program offers a viable way for families to get into homes if they are will to relocate to the approved property locations that are eligible for financing. For those who aren’t finding loan options with regular approaches, the USDA program can help tremendously.